One of the largest contributors to climate change is the burning of fossil fuels as a primary source of energy, heat, and transportation. The burning of hydrocarbons released nearly 30 gigatons of carbon dioxide in 2016, as well as toxic and harmful compounds such as mercury, nitrogen oxide, and sulfur dioxide. While investment in renewables has been scaling, the current state of renewable energy production is far from where it should be to mitigate environmental damage caused by traditional greenhouse gas emissions (GHGs). As of 2015, only 10% of global energy consumed came from hydro, solar, and wind sources. The incentives for scaling renewables that are in place today largely reflect legacy ideas, technologies and mechanisms that are inherently flawed. Participants in these programs are frustrated by the fragmentation, fraud, administrative cost, and lack of focus on true environmental impact. More must be done to mitigate the impacts of climate change and empower people to take a more active role in addressing one of the most pressing issues of our time. Swytch was born from a collaboration between utility-scale system builders, large energy customers, the energy finance and trading community, as well as cities to address this need with incentive and governance mechanisms that actually work. At its most basic level, Swytch Token will provide an incentive for clean energy producers and fills a gap in today’s market for verified renewable energy data and consumption. Swytch will use open-source applications, protocols, and algorithms to verify and reward investments in renewable resources worldwide. The reward will be in the form of an ERC20 compliant token that aims to incentivize investments in a wide range of renewable and sustainable assets and infrastructure (rooftop solar, distributed utility solar, grid scale solar projects, wind projects, storage systems, etc.). 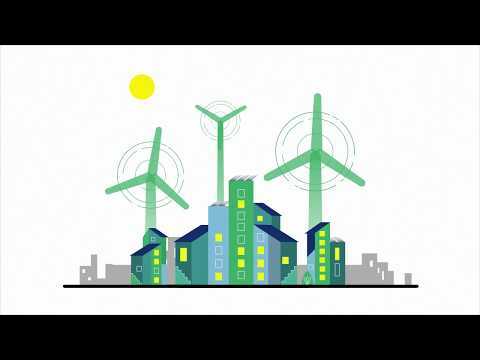 From large-scale industrial power infrastructure to small residential assets, Swytch Tokens can be generated anywhere electricity is produced. Swytch will provide geo-stamped credentials for production of renewable and sustainable technologies which will serve to create invaluable data sets capturing production information and driving adoption of renewables where future production will have the most impact. Furthermore, the generation and transfer of Swytch Tokens will accelerate investments in and adoption of renewable and sustainable technologies by rewarding production and creating a network in which those rewards can be exchanged. Decentralized, public, and secure verification of renewable energy production and transaction data and lowering administrative costs. renewable energy production & consumption. Governmental entities, including “smart cities” who wish to hold tokens as a reserve for local sustainability tokens or to stake into the “oracle” for modelling and data consumption purposes. While the idea is good but I don't see any potentials for ROI for investors at all. Investors must see their profits for investment. Further, no MVP is the disadvantage of the project and not setting a softcap is also a big concern while a hardcap for this is too high. This is a good concept but not a product that can benefit being placed on a blockchain for implementation. However, it can be part of a bigger project for greater ROI. While its creators have a good concept, they need to further develop this concept to bring in greater, far-reaching benefits to the world at large, through the blockchain. I can't believe how clueless most of the so-called experts here are. The fact is, Swytch has an incredible team and is backed by one of the largest hedge funds on Wall St. And has deals in multiple cities and in Germany. And Toronto boy, can you stop copy pasting negative reviews with the same BS story? I see your comments verbatim on other ICOs as you demolish them without thought. Did you even bother to read the whitepaper here? Let me put it this way, you would not have invested in Ethereum at 30 cents in the presale under your so called conditions for success. You newcomers to the ICO world appear to have been stained with the residue of old world economics and failure to even grasp what tokenonics is and what the potential is. It's not about profit margins, and shareholder ecstasy, it's not about VC with their boot on the back of the necks of innovators watering them down to one figure equity. It's about building community and finding utility value for the coin. It's about people using it. For the so called expert who thinks that ICOs are no good for humanitarian or environmental projects... well what can I say? Delusional? Stupid? Pick one. Now I know why half my clients could care less about ICObench. Because of drivel like this, posing as analysis. All I can say is the quality of so called experts here is falling. Though the concept looks good, I doubt how the product will look like once it's developed. Also, I don't see much benefit of using blockchain technology here. This is a very interesting project. I wonder if it needs blockchain implementation though, and whether it will be able to deliver positive ROI to investors. Although, it has a great team and advisory board, and I think it has a great vision behind it too. The concept is very wonderful. This project deals with one of the problems that we have to solve. However, there is little explanation about the product itself. As an investor, the road map seems not to be enough. What is the basis of the hard caps? I can not access Linkedin of Evan Caron (Cofounder and Managing Director). The idea is good, can’t say the same about the product and I can’t see how it will be a good investment. It would be interesting though how the product itself will look once implemented. The team is good with good experience. Although I find this project meaningful, I know that it will most likely fail to deliver any returns to investors. And the reason is simple. Investors don’t care so much about saving the manatees. So not much money will be invested in this project. That will lead to decreased funding which means a low price or even a useless token. Nobody wants a useless token so there are no actual incentives to produce renewable energy using Swytch. This project has not impressed me at all, tens of renewable energy projects, and 90% of them fail. Also the way that they implemented the token usage is also very fragile and will not create any demand and excitement for investors, if this project is going to be successful, it will take tens of years, no investor would wait such a long time, this is something that is not related to blockchain in anyway, this should be a normal project that should be funded by usual ways not ICOs. The team is okay, but having a good team does not mean that the project they are offering is suitable for investors and the blockchain system. I have worked with several eco green energy projects even before the blockchain started, and there is a very rare chance for these projects to succeed, they collect money from investors and in few years it becomes a dead project. I would never consider investing in this project. Team with related experience that already has a pilot project lined up. Not sure why they are using blockchain for this or require a $30m token raise for this however. Milestones doesn't even go past a couple of Quarters. Would like to see longer term vision and roll-out plans, how the money will be spent. Their Whitepaper has TGE Hard Cap $60M. Website token allocation doesn't appear to match that listed on ICObench. So it could be that many key areas on this profile are simply not accurate because they do appear to have a little more substance in terms of milestones on their website. Renewable energy projects are on the rise and is a need in improving our environments. But at the same time not necessarily sure if blockchain would be a necessity for such a project. The overall idea of the project is a positive one, the execution of it and hitting milestones and long term goals will be a deciding factor on how the market reacts. The team seems knowledgeable in the industry and having advisors familiar in the energy and capital sector is a plus as well. Some high profile backing (investors and partnerships) may help Swytch gain traction for this Eco Project. Blockchain ICO Consultant and Adivisor. Interesting project as a whole. The fact is that in this case an ERC20 could be substituted with the existing Green Certificate that is a tradable asset which proves that electricity has been produced by a renewable energy source. For example one green certificate is issued by 1 MWh of renawable power. So very good team, very good vision of the project but the product could run off-blockchain as well. The concept of Swytch if really pretty good concept but the product is not, just because there is no any good kind of Blockchain technology implementation. Pretty good team, but here is not enough people (including advisors) from crypto industry. Make your investment desicion very carefully with these inputs. Germany Energy aggregation pilot completion · Additional fundraising round complete · Core technology development, IOT security, and team growth. Complete additional POC's with partner cities · Oracle AI refinement for DACM (Adaptive Module) · Oracle Consortium development. Pro-consumer residential token generation pilots · Oracle open source · International Partnerships growth and scale. Trusted IOT device protocol integration · Government and corporate engagement.